These notes were written before our FA Cup reply against Nantwich in midweek after a hard-fought draw up in Cheshire. The FA Cup is always exciting for us fans particularly when you get this close to the 1st round proper – let’s hope we made it through. Today, we have a tough game against Slough. Things are tight at the top and Slough are one of the teams currently in the mix. Recently, we heard the news that Rockingham Road has finally been sold to developers for housing. The Trust wrote to the Pickerings on more than one occasion over the last year see if there was any possibility, however small, of the Poppies getting back to Rockingham Road. We had one e-mail back saying that we were not a viable option albeit they did not know what we had to say. Deep down we probably all knew that we would never return but it makes it no less sad to know now that we never will. “Dear Candidate, what value do you place on local sport as a cultural pastime, both from a playing and spectating point of view and how high a priority would you give to helping secure the Poppies a permanent home for the benefit of generations to come? Thank you for taking the time to consider our correspondence, and we look forward to your reply, which we will share with as many people as possible who have the club at heart”. Philip Hollobone was duly elected as the MP for Kettering. If you would like to raise any issues with him regarding the Club and the ground situation, you can email him at philip.hollobone.mp@parliament.uk. 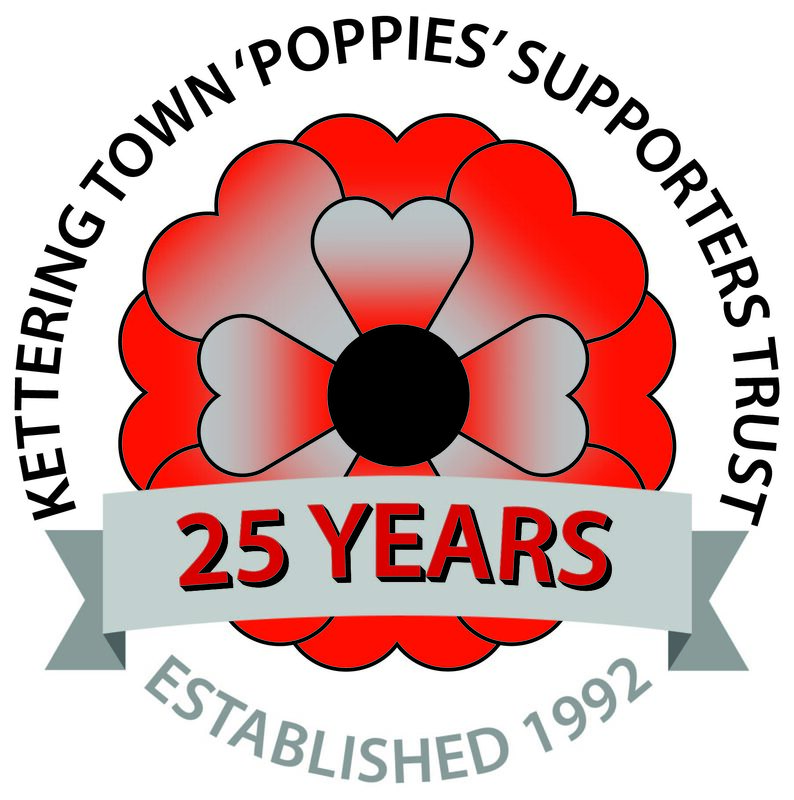 The Trust will continue to support the Club in its quest to try and return the Poppies to Kettering, something most of us would like to see happen.